I'm thrilled to welcome Renee Robinson to the blog today. She is authentic, wise, and downright awesome. I often find myself printing what Renee writes on her blog - like this awesome piece "A letter to my boys (The real reason I say no to electronics)" - and using her wise words as conversation starters with my boys, because one of her many gifts is helping moms navigate hard and complex conversations with our kids. I just know you are going to love Renee! I attempted to explain the why behind our bedtime policy, though my best efforts failed to ease his frustration. I tried to explain that he wakes earlier than his friends, that his body actually functions better on more sleep, that some kids stretch the truth to impress each other. Wasted words. What he really wanted wasn’t a later bedtime. He wanted freedom. He felt constrained. He was so focused on the one thing that we withheld from him, he lost his ability to see the abundant freedoms we showered over him daily. In his 11-year-old world, his vision focused on what he convinced himself he was missing due to the limits we placed on him. Limits for his own good. Boundaries to protect him because we want the very best for him. The desire for freedom is nothing new. Adam and Eve were in paradise. Complete freedom. Only one thing they were instructed to avoid, which was for their own benefit. Then entered the sneaky snake (or the old mean devil, as my 6-year-old calls him) twisting God’s words, telling Eve she wouldn’t really die, rather she would be like God, having the ability to see good and evil. God created in us a longing for freedom. The thing we most desire, God has freely given. We need only accept it. Freedom is found in salvation. We are free in the holy hands of grace. He wants us to be free. He came to break the chains and release us. I finally relented offering Jacob a later bedtime. We gave the freedom he longed for. Within days he was back in bed at his earlier bedtime, by his own choice. It wasn’t the later bedtime he wanted, it was the freedom. What he thought he wanted turned out to be less than he expected. God’s desire for us and our children is to see up front the freedom he offers so we don’t waste our time and energy desiring less than His best for us. 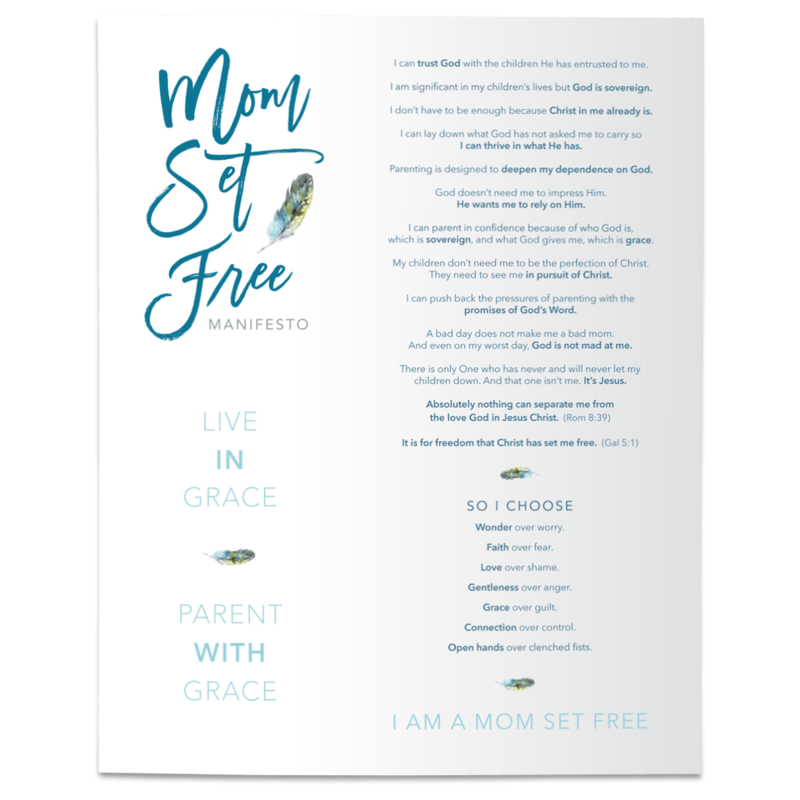 Lord, give our children eyes to see the freedom they have rather than focusing on the one thing they think they are missing, the one thing they mistakenly believe is true freedom. May our children have discerning hearts to know the difference between counterfeit freedom and 100% authentic freedom. Freedom by grace. Lord, grant my children the ability to shift their perspective when that sneaky snake tempts them to see the one thing they think they want. Renee Robinson is the author of Seeking Christmas - Finding the True Meaning Through Family Traditions. She blogs at www.renee-robinson.com to encourage and inspire women along their journeys of faith. She hopes to help others see God in their every single moment. Renee is married to her high school sweetheart. She and her husband have 3 handsome boys and live in Davidson, NC. Connect with Renee on Facebook, Twitter, and Pinterest.